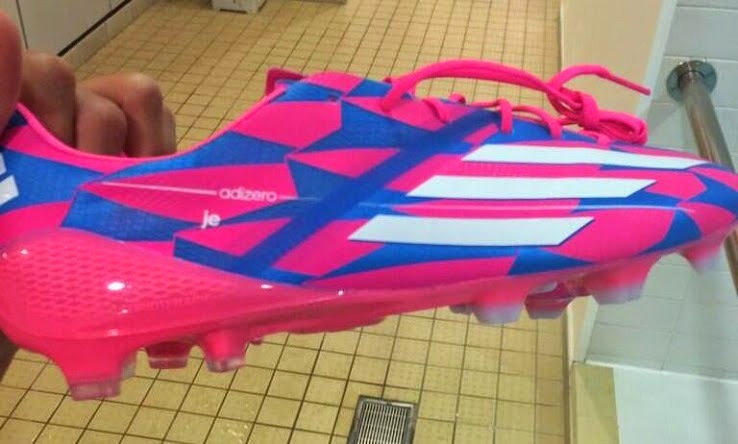 Adidas has released their new pink Adizero IV & Predator boots for the upcoming 2014-15 season. The new pink Adizero IV boots will be worn by players like Jose Enriquez, Patrick Roberts and Lucas Moura during the new 2014-15 season. The main color will be pink but it will also have a solar blue to being up the design to a new level. The new Adidas Adizero IV weighs 150g and it has the same pattern and design of the now iconic Adidas Adizero 2014 world Cup boot. Designed for speed, the new Adizero IV is made from Speedfoil which is also used in sail boats. 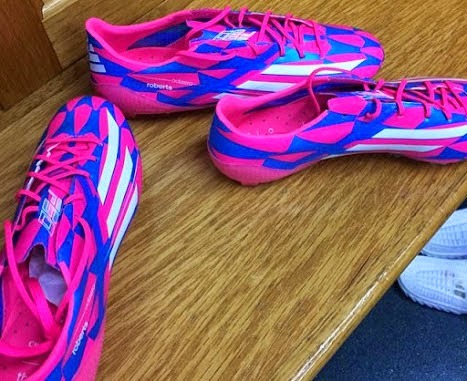 The pink outsoles uses Speedtraxion studs configuration, which will give the player better acceleration and agility on the field. The new pink Adizero IV will be available at retail stores starting July 14th 2014. 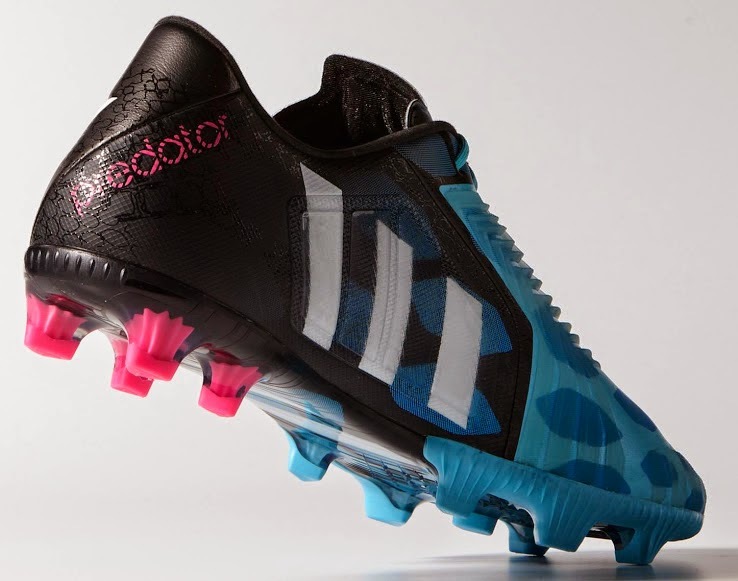 Adidas is celebrating 20 year anniversary of the first Adidas Predator release, and what better way to celebrate the anniversary but to release a new Adidas Predator for the 2014-15 season. The new boot will come in two color schemes, Solar Blue & Core White/Black. 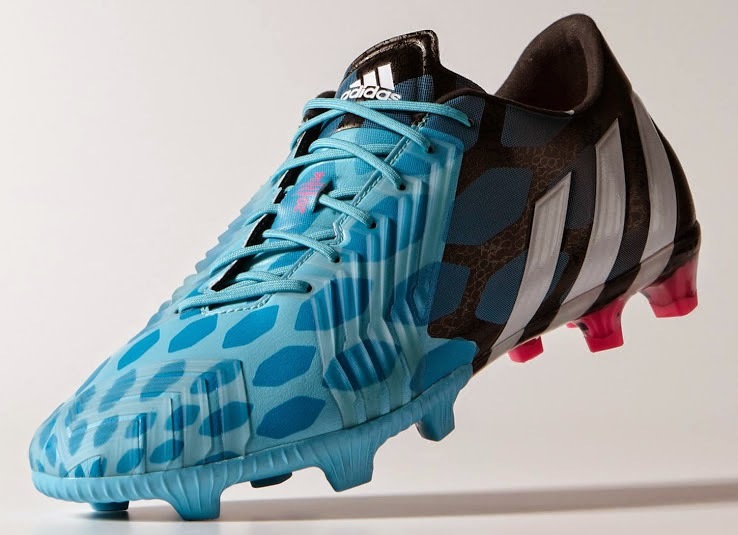 The new Predator is design for the strong midfield player. It will help with more accurate passes, better ball control and still the comfort that Adidas has been giving us for years. The new Predators will hit stores in July 2014.